From March 6-12, 2017, Ayang Rinpoche’s monastery in Bylakuppe, South India will hold the annual Shitro (100 Peaceful and Wrathful Deities) Puja to welcome in Losar (Tibetan New Year, February 27) and celebrate Chötrul Düchen (March 12). Chötrul Düchen is one of the four holy Buddhist festivals commemorating significant events in the life of the Buddha. During the first fifteen days of the new year, the Buddha displayed miracles for his disciples to increase their devotion. During this time, it is believed that the effects of positive actions are multiplied ten million times. 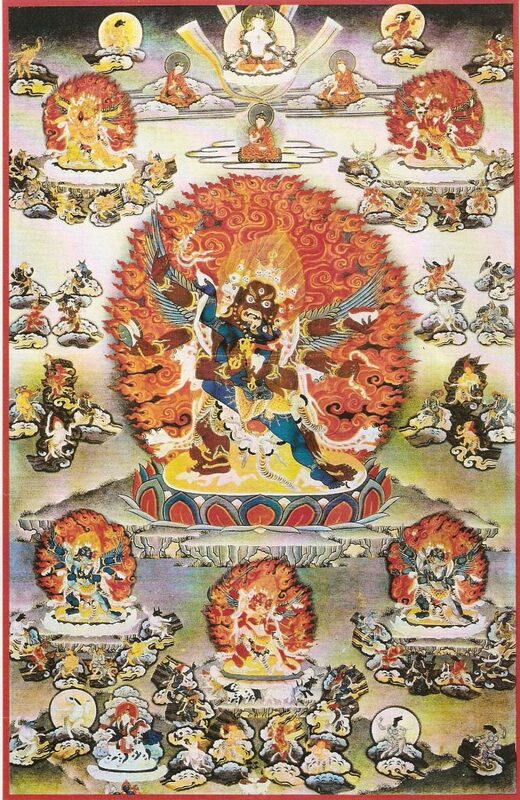 Ayang Rinpoche said about the 100 Peaceful and Wrathful Deities practice, “It is the essence of the 6,400,000 Dzogchen tantras, and merely hearing this teaching cuts through birth in the lower realms; merely understanding it causes one to travel to the ground of great bliss (mahasukha); bringing its meaning to mind causes one to accomplish the irreversible state of the spontaneously arisen awareness holder. For everyone who connects with this teaching there will be great purpose and meaning.” H.E. Ayang Rinpoche, 2009 (Trans. Tyler Dewar). 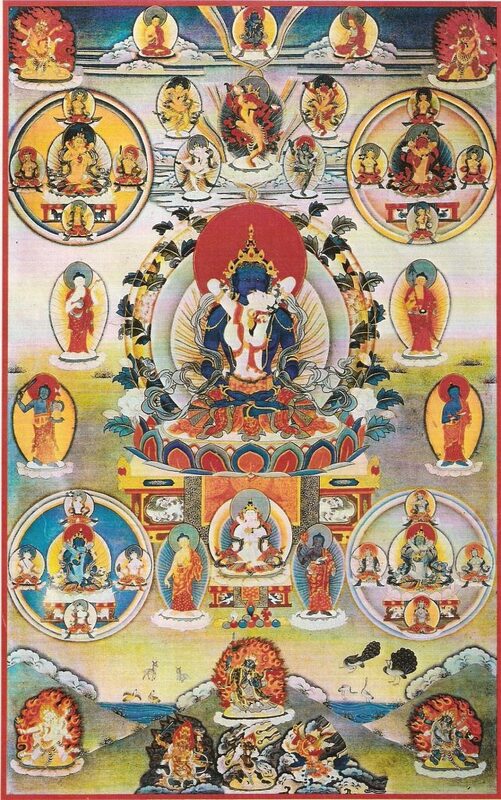 Read a short excerpt of this teaching from Ayang Rinpoche’s 2009 Karma Lingpa Shitro empowerment in Garrison, New York. “Any one who has family members, friends or loved ones who have died and would like to make donations and dedicate it to them, it [Shitro] is the best opportunity.” If you would like to make offerings to support the 100 Peaceful and Wrathful Deities Puja online please use the link below, or send a check made out to Amitabha Foundation to P.O. Box 2572, Aptos, California 95001. Be sure to include the names of persons or pets (living or deceased) for whom you are requesting prayers. Names must be received by March 9, 2017 to be included in the prayer list for the monastery, but offerings are welcome at any time. Donations sent through the Amitabha Foundation are tax deductible in the US.